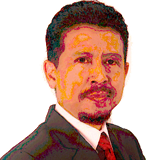 OUR TEAM – Supergreen Energy PTE. 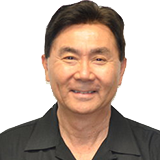 LTD.
From its inception in 2016, Mr. Cao has been the Chairman & Chief Executive Officer of Supergreen Energy Mr. Cao is a consummate innovator and inventor, holding 16 patents and patents pending all over the world (4 in the US; 5 in Europe; 1 in China; 1 in Japan; 1 in South Korea and 4 pending). 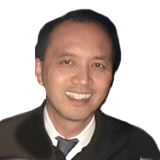 Mr. Cao is the inventor of the world’s first ever Self Charging Renewable Energy Platform that produces 100% clean, renewable and sustainable electricity utilizing innovative and industry-disruptive technologies. As the Founder/Chairman & CEO of Supergreen Energy, he is the driving force behind the strategy and commitment to make SuperGreen Energy a dominant global company. Mr. Cao also was the founder of CZ Biomed Corp. a privately held Biotechnology Company and Stem Cell Therapy International, a publicly traded company, which later merged with Histostem of South Korea. Mr. Cao is a graduate of University of South Florida with degree in Electrical Engineering and a minor in Biomedical Engineering. Mr. Cao has founded more than five companies, spanning the Biotech, High Tech and Investment markets. Two out of the five companies have grown into publicly traded companies. Leveraging his experience, commitment and eye for talent and selecting partners. Mr. Takashima brought with him a wealth of knowledge and experience. His global understanding of business strategies will be beneficial to Supergreen Energy Corp. Mr. Takashima is currently the founder of Gizmo Technologies a networking firm for Entrepreneurs in the technology sector, former CEO of TCG International a international outsourcing and consulting firm, CEO of Dot C Global a Fulfillment & distribution firm; Managing Director for Katana Studios Brazil, a CGI and Prepress design firm, His latest venture prior to joining Supergreen Energy Corp is being President and Founder of Nostromo Inc. Augmented Reality technology company that revolutionize how product and services creates a marketing visualization tool to simplify the use of our smart phones and integrate with social media platforms that connects to virtually thousands of people at the press of a button to share and view a 3 dimensional images. Beyond his dedication to his work, Mr. Takashima also spends time with his family and friends. He’s an avid Badminton player. 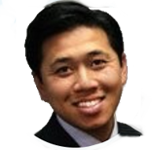 Mr. Messina-Nguyen is the General Counsel for Supergreen Energy Corp. His experience ranged from Silicon Valley to Washington DC. Mr. Messina-Nguyen started his career as an engineer with Cisco Systems, then ended with the Justice Department prior to joining Supergreen Energy Corp. During his time with the Justice Department, Mr. Messina-Nguyen’s practices focuses on appellate, and complex litigation. His appellate matters have addressed a wide range of subjects including civil procedure, federal criminal law, the First Amendment, jurisdiction and telecommunications. He has drafted merits briefs, amicus briefs, and certiorari-stage briefs before the U.S. Supreme Court and the Federal Courts of Appeals. He previously served as a law clerk to Judge Sidney Thomas, of the U.S. Court of Appeals for the Ninth Circuit. 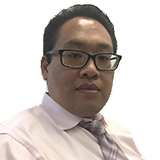 Mr. Messina-Nguyen holds a Bachelor in Electrical Engineering from Stanford; MBA from Berkeley Haas Business School and Law Degree from University of Santa Clara. Mr. Bach is a patent attorney who focuses on all aspect of intellectual property, licensing and business law. His extensive legal and business acumen was honed through litigation and general counsel experience for startups. Mr. Bach understands how to utilize a company’s patent portfolio to build value. More importantly, he views innovation as a wayto effect change on a large scale, but balances his global thinking, with a practical approach and strategy to cross-licensing and monetization of patents. Mr. Bach has worked at some of the largest and most respected law firms in the country prior to joining Supergreen Energy Corp. He holds a Juris Doctorate and Master in Biological Science from the University of Minnesota. He received his undergraduate degree at University of California Irvine. 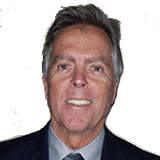 After receiving his bachelor’s degree in economics from the University of California, Santa Barbara, Jon Clark was a co-founder Financial Statement Services, Inc. (FSSI) and remained at FSSI for over thirty years. FSSI is a provider of outsourced print and mail services specializing in billing and statement work for Financial, Insurance, Utilities and Telecom industries. He directed the sales team at FSSI, developing annual sales in excess of fifty million dollars and helped to make it a corporation recognized throughout the industry for superior service and value. Along with sales, Mr. Clark also focused on strategic planning, marketing and major corporate relationships. Mr. Clark was instrumental in consulting with customers and educating them regarding the benefits of FSSI’s products and services and productive capabilities. Mr. Clark’s industry research; identifying emerging markets and industry trends, was key to building successful marketing strategies and high-level corporate relationships. 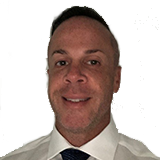 Mr. Clark joined ABS in 2016 to offer exceptional sales expertise by interfacing directly with large enterprise companies and print service providers dependent on delivery of secure critical documents in order to operate their business. Mr. Clark has since joined SuperGreen Energy as the Vice President of Business Development and Customer Communications. Mr. Perez comes to us with over 25 years of corporate and entrepreneurial experience in the global market. Training and developing new markets in a variety of verticals such as the biochem field, commercial development, and real estate, and the tech industry. With experience consulting at different levels of market research, product development, technology, and product incubation, market launch strategies, and increasing market share globally. Mr. Perez has joined SuperGreen Energy with the focus to position the company as the leading solutions provider in the renewable energy industry, proper international positioning for a global launch and implementation of SuperGreen Energy projects immediately. 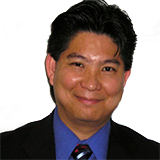 Mr. Chu obtained his Bachelor’s Degree at McMaster University, Hamilton, Ontario, Canada, and start his entrepreneur path in Overseas Studies Consultancy, Immigration Consultancy, Real Estate Marketing Dot.com (Internet Telephony) founder and Financial Consultancy. 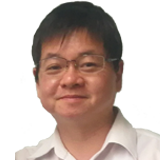 Mr. Chu joined SuperGreen Energy as Business Development Director and focus on worldwide marketing strategy for the company. Mr. Chu proved himself market the right products at the right time throughout his career successfully. Mechanical engineering, rotating equipment or machinery, the structural and electrical system as well as the control system in a way to comply with the output purpose design to make the operation and maintenance of any type of machine or equipment are in harmony with excellent performance and technical integrity and for the commercial objective. Design for the unit Vertical Axis Wind Turbine Power Plant with capacity scale rated at 5 MW.